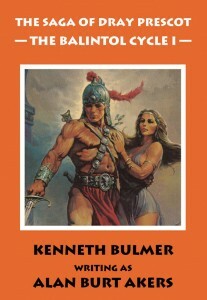 The Balintol Cycle II by Alan Burt Akers, the fourteenth Dray Prescot omnibus, containing books 47 to 49 in the epic series, is now available in hard cover from good book stores everywhere, including Amazon (this link opens at the most geographically appropriate Amazon store) and Barnes & Noble. The Balintol Cycle I by Alan Burt Akers, the thirteenth book of The Saga of Dray Prescot omnibus is now available from Bladud Books in hardback edition from good bookstores everywhere, including Amazon. 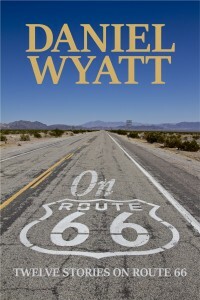 On Route 66 by Daniel Wyatt is now available from good ebook stores everywhere, including Amazon (for Kindle), iBooks, Smashwords, Google Play Books, Kobo, Barnes & Noble (for Nook Books), or read it with a Scribd subscription. On Route 66 is dedicated to the legendary road. It’s a book about people. People on the move. In a series of twelve short stories, Daniel Wyatt evokes that great and wonderful era in the good ol’ US of A, when the open road brought something new, exciting, and magical around every corner and bend. We all want to know what’s on the other side of the hill. For more info, please see the On Route 66 page on mushroom-ebooks.com. As our publishing schedule tends to change quite a lot (sorry about that) I have made our dynamic Trello board available for all to see. So for all the drama, please visit the Mushroom Publishing Forthcoming Titles board on Trello. It is where we keep track of what is going on. Edit (2015-08-24): added some dates and changed The Spectre Cycle date to one week later. It is with great sadness that I must report that Moyra Caldecott died peacefully on May 23, 2015. Moyra will be greatly missed. She was a special person, one of a kind, a wonderful woman and a great writer. I feel privileged to have known her. EDIT: An obituary has been published in The Guardian. All Mushroom eBooks titles are at least 50% off at Smashwords during Read an eBook Week. This offer runs for one week only, until March 7, 2015. EDIT: Use the code RAE50 at checkout. 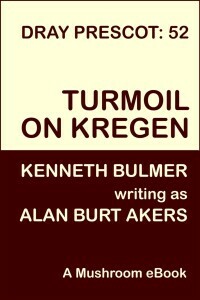 Turmoil on Kregen by Alan Burt Akers, book 52 and the last volume of the Dray Prescot series is now available from good ebook stores everywhere, including Amazon (for Kindle), iBooks, Smashwords, Google Play Books, Kobo, Barnes & Noble (for Nook Books), or read it with a Scribd subscription. 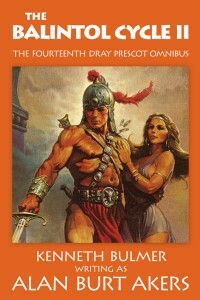 Volume fifty-two in the saga of Dray Prescot of Earth and of Kregen, and the second book of the Spectre Cycle. The undead monster called the Spectre has been destroyed. Princess Didi’s fine new city of Gafarden no longer suffers under the threat of the animated corpse. Didi herself lies seriously injured in Zandikar in the Eye of the World, lovingly tended by her cousin, Princess Velia. Ulana Farlan, the governor of Didi’s province of Urn Vennar, has been removed from office. Now the rogue and schemer Nath Swantram, Nath the Clis, rules. But the Spectre, dead and animate, is about to terrorize Gafarden again as Tralgan Vorner, the wronged Elten of Culvensax, seeks vengeance on those who betrayed him. Within Vorner the Spectre lives. Includes a glossary to the Spectre Cycle. For more info, please see the Turmoil on Kregen page on mushroom-ebooks.com. Due to an unexpected hospital admission, Turmoil on Kregen will be delayed for a while, hopefully no more than a month. I am very sorry. I will try to keep you posted with progress. 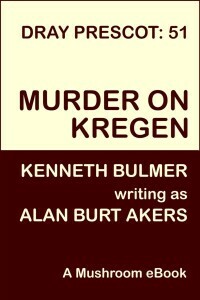 Murder on Kregen by Alan Burt Akers, book 51 of Dray Prescot is now available from good ebook stores everywhere, including Amazon (for Kindle), iBooks, Smashwords, Google Play Books, Kobo, Barnes & Noble (for Nook Books), or read it with a Scribd subscription. A new page turns in the unruly life of Dray Prescot, and all his strengths and inner resources will be required to confront fresh problems and perils. The Star Lords, furthering their mysterious ends, demand that he unite all the continents and islands of Paz as an emperor. This task is beset with innumerable difficulties. So join Dray Prescot as he rides south from the port city of Zandikar on the inner sea of the continent of Turismond, the Eye of the World, with his blade comrade Seg Segutorio and the Princesses Velia and Didi of Vallia. Of course, as is the nature of Kregen, they face unexpected peril. For more info, please see the Murder on Kregen page on mushroom-ebooks.com. 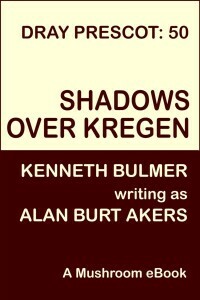 Shadows over Kregen by Alan Burt Akers, book 50 of Dray Prescot is now available from good ebook stores everywhere, including Amazon (for Kindle), iBooks, Smashwords, Google Play Books, Kobo, Barnes & Noble (for Nook Books), or read it with a Scribd subscription. Volume fifty in the saga of Dray Prescot of Earth and of Kregen – a standalone novel in the Spectre Cycle. Dray Prescot has been chosen by the Star Lords to bring all the lands of Paz together, as the so-called Emperor of All Paz. They must resist the deadly Shanks who raid from over the curve of the world. Delia and Dray Prescot have abdicated the throne of Vallia and now seek to make the dream of a united Paz come true. But whether he is battling slavers and freeing slaves with the Kroveres of Iztar, or fighting Fish-heads in the land of the Shanks, Prescot is certain to be thrown into more headlong adventures under the streaming mingled lights of the Suns of Scorpio. 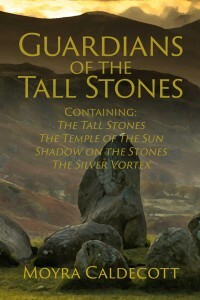 For more info, please see the Shadows over Kregen page on mushroom-ebooks.com. 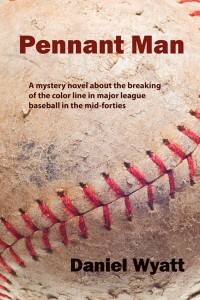 Pennant Man by Daniel Wyatt, is available from good ebook stores everywhere, including Amazon (for Kindle), iBooks, Smashwords, Google Play Books and Kobo, or read it with a Scribd subscription. One was Jackie Robinson. The other had a past. For more info, please see the Pennant Man page on mushroom-ebooks.com.